You know you’re hot, but it isn’t a self-centered sort of revelation because we’re not talking about your looks here. Rather, it’s a matter of being too hot to sleep comfortably sometimes – especially if you’re cuddled up next to someone else who also sleeps hot. If your body temperature soars at night, it could be you, or it could be your mattress. The good news is there are some mattresses out there made for those who tend to wake up in a sweaty, tangled-sheet mess every morning. In fact, the best mattress for hot sleepers feels cool to the touch, is super comfortable, and worth every penny so you can get some good sleep for once. 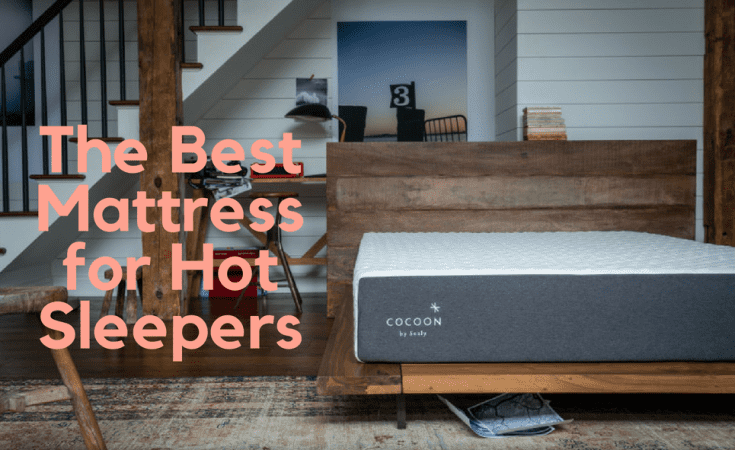 To find the right mattress for you and your extra hotness, read through some of the tips here, and be sure to read through the best mattress for hot sleepers reviews. Why Do You Get Hot at Night? There are a few reasons why you may warm up when you lay down. The first answer has to do with your body. Some people simply run warmer than others because of muscle mass. It’s why men often seem to radiate heat like a furnace, while women, who tend to have a bit more fat, are a bit cooler. It has a lot to do with your metabolic rate, too. That doesn’t mean that women don’t also get warm when they sleep. Hormonal fluctuations can contribute to temperature fluctuations, as well. Beyond all the hormones and metabolic rate parts, there’s also just the sleep cycles you go through. Your body tends to move up and down the temperature scale as you drift from light sleep to REM and back again. In fact, if you have trouble getting to sleep in the first place because you’re too warm, there’s a scientific reason for that, too. Your body actually needs to drop in temperature slightly for you to fall into a deep, restful sleep. And that’s one good reason to seek out a mattress that sleeps cooler – and stays cool – for falling asleep quickly. Does Price Matter When It Comes to Finding a Mattress That Keeps Its Cool? Frankly speaking, yes, the price of a mattress that keeps you cool at night is going to be higher than standard mattresses. The typical mattress of yesteryear was a spring mattress, and you can still find them here and there, but they’re no longer the standard. They didn’t sleep particularly warm, but they were a bit uncomfortable. Memory foam took the title of standard, but something most people noticed is that as comfy as foam was, it also warmed up quite a bit. It’s taken mattress manufacturers a while to figure out how to balance comfort and cool, but they’ve done it. Many have found that balance by offering a hybrid option, which combines the comfort of foam, and the cooling benefits of gel or latex. Some have materials that are protected by a proprietary secret formula. And there’s a lot of money that goes into research, development, and production. 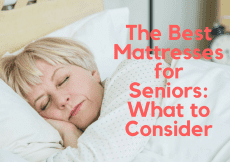 You can find some budget mattresses that work well for keeping you cool at night, but for the best mattress for hot sleepers, you might have to pay a bit more. Which Mattress Materials Sleep Coolest? Finding a mattress that sleeps cooler is a lot like finding sheets that keep you cool during the summer. You want to find a mattress made of materials that are breathable, won’t trap heat, and won’t envelop you in a cocoon of a mattress. The great thing about memory foam is that it offers supreme comfort and motion isolation. If you pick up a memory foam mattress that has a firmness rating of 6 or higher (on a scale of 1-10, with 10 being the firmest), you should be quite comfortable and not sleep warm. That’s assuming you’re of average weight, though. Foam can sink in more for those who are plus size, and that can cause a hugging sensation that may be comfortable, but also may make you feel warmer. The exception here is memory foam that’s been made with gel foam. Higher concentrations of the gel can help keep you cool while you sleep. It may even be cool to the touch. 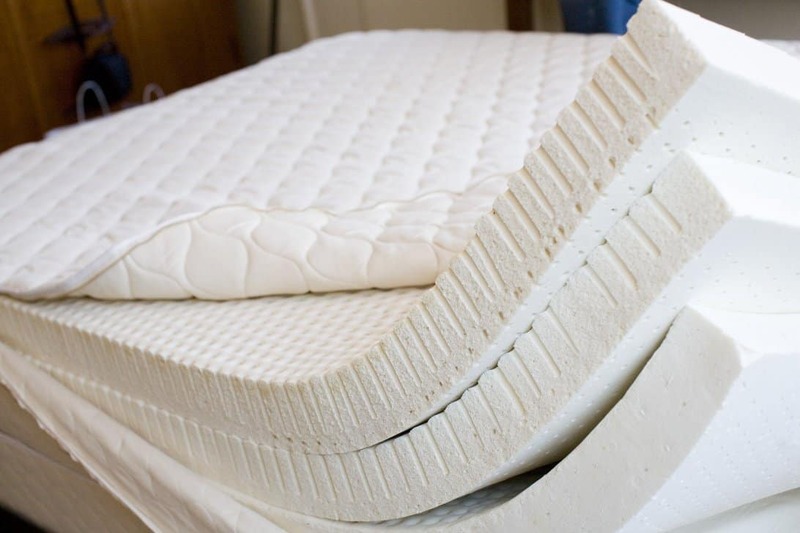 Some of the best mattresses for hot sleepers are made of natural latex. The material is breathable, soft, and resilient. You won’t get the sinking-in feeling of memory foam, but you still get the soft, comfy feeling that you might associate with memory foam. The only other material that is sure to sleep cooler than latex is an innerspring mattress. By far, an innerspring mattress offers the most air circulation of any other mattress, which means you shouldn’t heat up when you sleep on it. However, the classic innerspring mattress is going the way of the dinosaur for many other reasons. It’s hard to find a high-quality innerspring mattress these days that will last you years and years. In fact, you’re more likely to find coils incorporated with other materials in hybrid mattresses. A hybrid mattress is a popular choice these days, but you still need to know what each layer is made of to ensure you’re still getting a mattress that will sleep cooler. After all, several layers of traditional memory foam with one layer of springs isn’t likely to keep the heat trap at bay. A hybrid made of individually-wrapped coils and natural latex is more likely to offer you the support you need, plus the air circulation you want to keep you cool. Gel-infused foams and open-cell memory foam are also popular materials used for these blended beds. 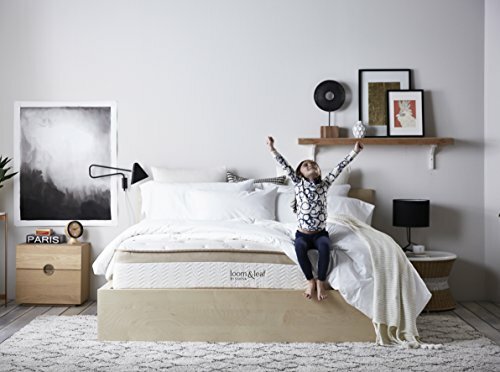 You can find a happy medium of comfort, support, and cooling factors in the Loom and Leaf mattress – and it’s surprisingly made of memory foam. 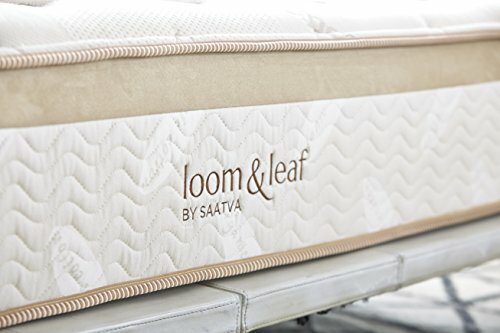 The difference between Loom and Leaf’s materials and traditional memory foam mattresses’ layers is that you get a layer of convoluted memory foam. The open-cell structure of this layer promotes more air circulation, and that in turn keeps you cooler as you sleep. 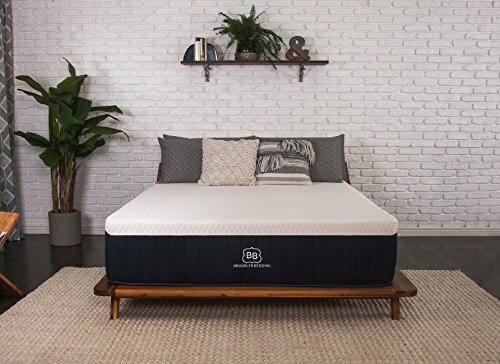 The high-density foam core offers the support your body needs to keep you in the proper position for sleeping comfortably, and the top layer offers the comfort you want. Additionally, that top layer has a bit of cooling gel as a strip across the middle of the mattress. This also helps to keep you cooler as you drift off to sleep. You shouldn’t feel like you’re sinking into this mattress, but you’ll still reap the benefits of motion isolation that comes with memory foam. It’s considered a medium on the softness-firmness scale, so if you’re a bit heavier, it might not be supportive enough for you. 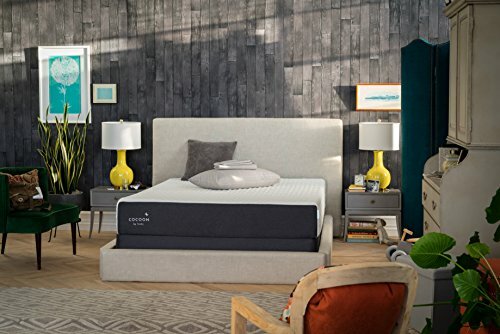 If you’re looking for a memory foam mattress that’s softer, but won’t sink in, and still keeps you cool as you sleep, this could be an ideal choice for you. 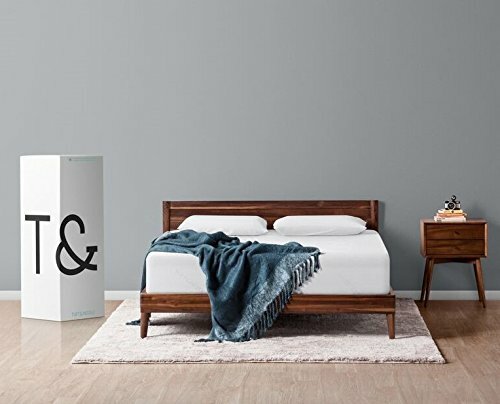 You probably recognize the Sealy name, but the Cocoon Chill mattress might be a new name to you. Sealy has been making mattresses for years, and the Cocoon Chill is one of the company’s latest forays into memory foam mattresses. This one comes in two choices for comfort, including soft and firm. The softer version is a good choice for those who are of average weight and don’t mind the hugging feeling of memory foam. If you’re a bit heavier, the firm option would be best for sleeping soundly and for a supportive feel. What sets this memory foam mattress apart from others like it is the cooling technology that Sealy added. The knit cover is breathable and includes a material that actively absorbs heat and then dissipates it to keep you cool. It’s even cool to the touch. The biggest issue with this mattress is that it does have a bit of off-gassing, so you may notice an unpleasant odor the first couple days. You might also find that even the firm mattress isn’t firm enough if you’re plus-size. If you want a softer mattress that offers some cooling effects to the top of the mattress, this one could be a good choice for you. The Leesa mattress offers three layers of foam to give you support, comfort, and breathability. The core foam layer is denser and quite durable, and this is the layer that gives you the support your body needs. It’s the layer that keeps your spine straight and your body afloat in the position it needs to be in while you sleep. The middle layer is considered the comfort layer. It’s a bit softer, and it’s what gives that medium firmness feel. It isn’t too soft so that you sink, nor is it too firm that you feel like you’re sleeping on the floor. And then there’s the top layer, which is made of Avena foam, a special foam that’s meant to encourage airflow. It’s two inches thick, and it’s perforated and wavy. It keeps the mattress from trapping heat and pushing it back onto you. Rather, the heat should disperse and move away from you and the mattress’ top layer. Despite this special layer of foam, this is a traditional memory foam mattress, so you may get that sinking-in feeling that comes with memory foam. And like foam mattresses of the past, this one doesn’t offer great edge support. If you’re a fan of the memory foam hug, but you want to sleep a bit cooler, this mattress with Avena foam could work well for you. One of the many benefits of the Tuft & Needle mattress is that it isn’t memory foam, at least in the traditional sense. Many people who want memory foam don’t want that hugging feeling that comes with traditional foam mattresses. If you’ve looked into latex mattresses as an alternative and it seems appealing, but the price tag is outside your budget, then the Tuft & Needle could be a good option. The polyfoam layers offer the support and comfort of latex, but at the more affordable price of a memory foam mattress. You get the bounce and springiness you want and the comfort that’s associated with natural latex, but you don’t have to buy latex at all. The adaptive foam provides good motion isolation the way memory foam does, but it sleeps much cooler. 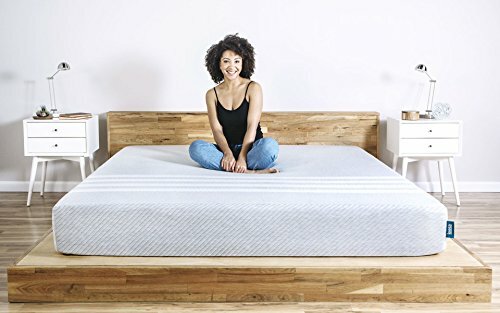 In addition to being comfortable and breathable, this mattress has an excellent weight capacity – up to 1,000 pounds total can be accommodated on this mattress. It is foam, though, so there is a bit of off-gassing, even though Tuft & Needle mattresses pass the CERTI-Pur tests. Some have also said it’s a bit too firm for their liking. If you’re looking for a mattress that can accommodate plus-size sleepers who don’t want to sleep warm, this could be a perfect choice for you. Something beautiful is bound to happen when you combine pocketed coils, memory foam, and copper – at least that’s what Brooklyn Bedding is banking on with its Aurora mattress. This luxury mattress comes in three firmness levels, so you can choose the one that suits your sleeping style and comfort the best. If you like that traditional hug you get from memory foam, then soft is the level you should choose. Back and stomach sleepers may prefer the firm option. The middle-of-the-road option of medium is the most popular because it’s good for almost any sleeper. Regardless of the firmness level you choose, the Aurora sleeps much cooler than most mattresses like it. The top layer features copper gel, which helps pull heat away from your body to keep you cool as you sleep. Plus, the copper has antibacterial properties. The coils sitting atop the base support layer of foam helps give the mattress its springiness and support. They also contribute to the motion isolation. This is an expensive bed compared to others like it, and there will be a bit of off-gassing. If you want a mattress that actively works to keep you cool as you sleep, this mattress may be the one for you. When it comes to getting a good night’s sleep, you need a combination of factors working together to help you fall into a deep sleep. A big part of it is keeping your body temperature lower, which allows you to fall asleep faster and deeper. 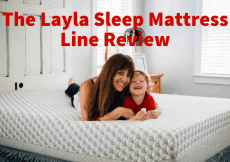 There are plenty of mattresses out there that offer cooling features, and all the mattresses featured above are excellent at keeping their cool. There is one that’s considered the best mattress for hot sleepers, and that’s the Tuft & Needle. While the T&N mattress doesn’t have strips of gel or some fancy name for a foam, it does perform well for hot sleepers. It’s a medium firmness level, which pleases most people most of the time. And it can accommodate plus-size people, so you won’t have to worry about sinking into a bed when you aren’t supposed to. 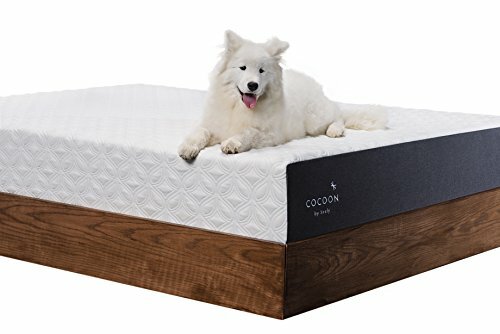 Lucid vs Zinus Mattress - Which is the Better Bed?